Do you Realise What the Navy has Done? whole: the two images are positioned in the upper half, each held within a red border. The title is separate and positioned across the top edge and centre, in blue. The text is separate and positioned in the lower half, in red. All set against a white background. image: a portrait-length photograph of a smiling British sailor. The other image is a photograph of a fleet of British warships at sea. 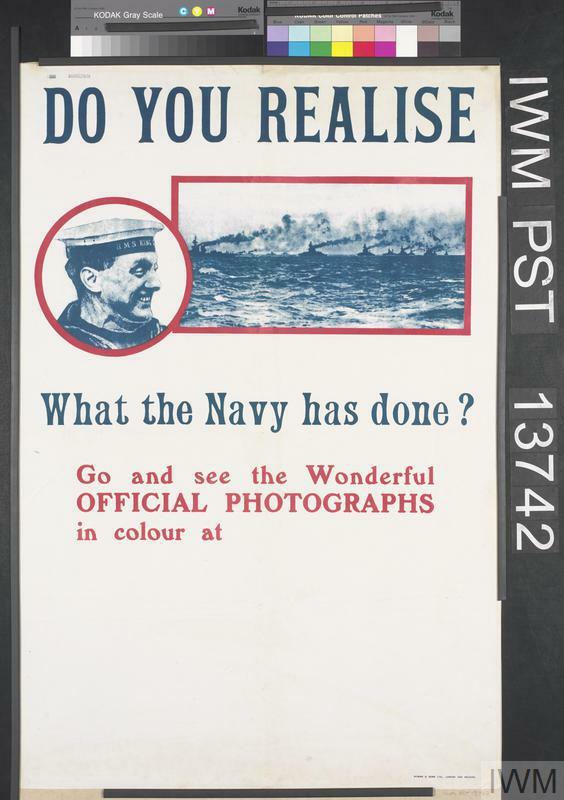 text: DO YOU REALISE What the Navy has done? 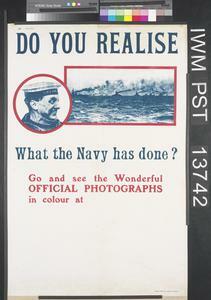 Go and see the Wonderful OFFICIAL PHOTOGRAPHS in colour at [blank] WYMAN AND SONS LTD., LONDON AND READING. The lower third of the poster has been left blank for the addition of local details after distribution. DO YOU REALISE WHAT YOU ARE DOING? 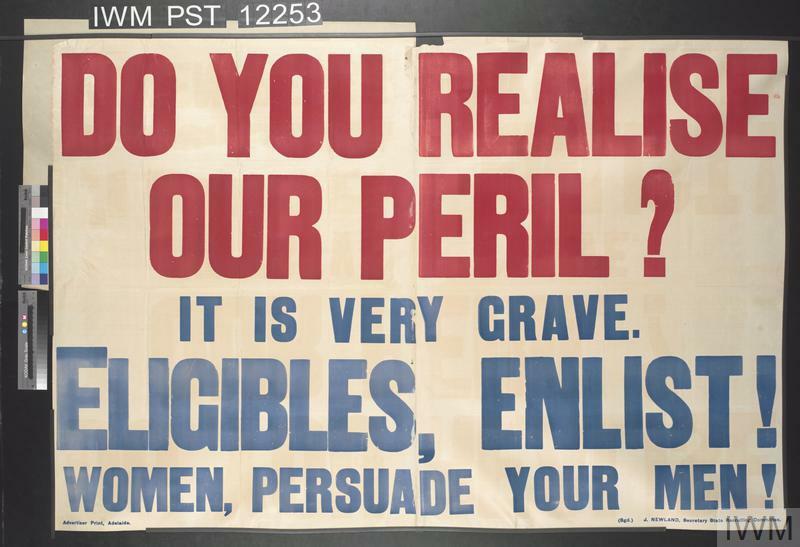 Do You Realise Our Peril?